Just stopping in to post my take on this weeks challenge. Since we were moving this past weekend, I made sure I created the layout and photographed it a couple of weeks ago so it would be ready to go. The problem was I packed up my camera and couldn't find it among all the boxes to be unpacked on Monday! Anyway...I found it yesterday so now I can share it! For me, last summer was all about having a one year old who was discovering the pleasures of the outdoors and everything that comes with summertime. Sam enjoyed being outside and crawling through the grass. He loved water-play and being taken to the park. And one thing that he enjoyed time and time again was watermelon! He just couldn't get enough of the juicy delicious fruit! I snapped these pics as he devoured yet another plateful. What Juicy Joy! 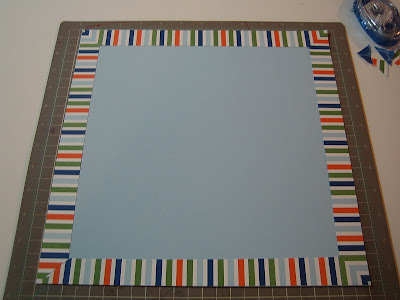 I used some some great striped paper from Stampin' Up! that matched the stripes on Sam's shirt perfectly. I love those colors together - they just scream summer! 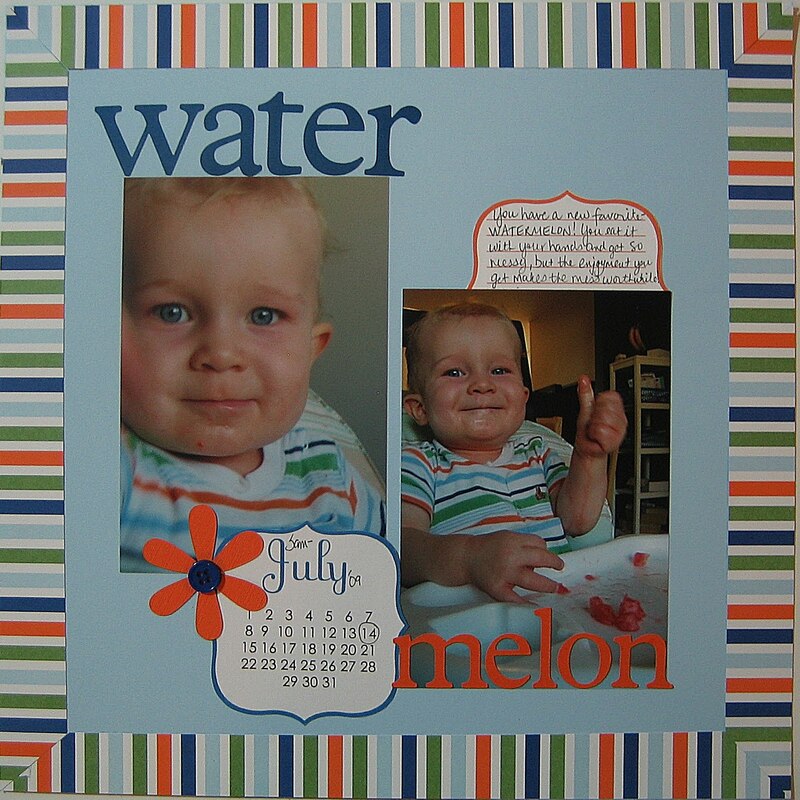 I also used one of our SMS Perpetual Calendars along with a Artisan Bracket Journaling Box and a die cut flower as some simple additions. 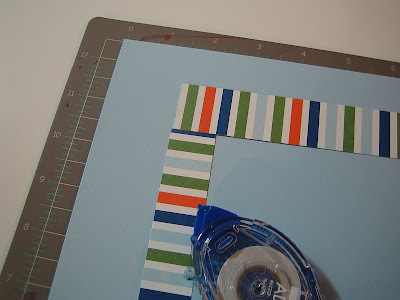 It's no secret that I love stripes and have done this mitred corner technique on a few layouts. I thought I'd offer a few tips on how to get the look. 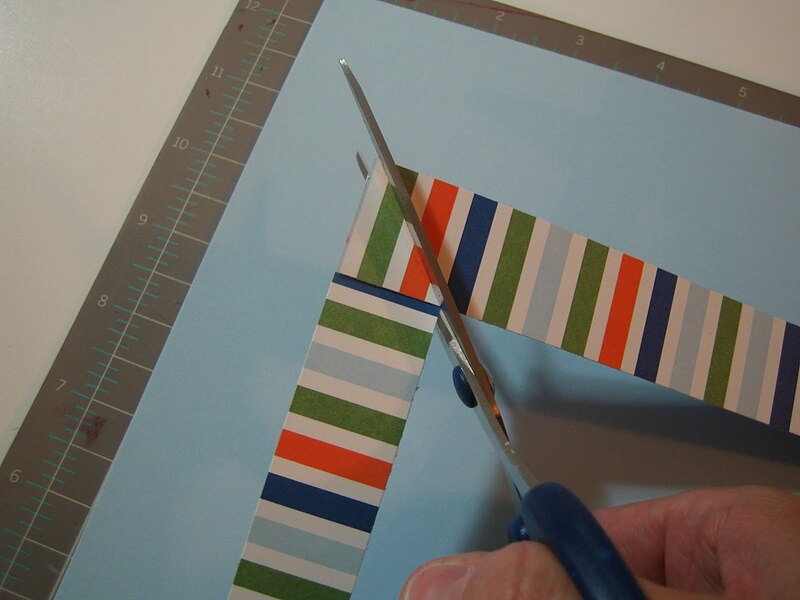 This technique really works well with regularly spaced stripes, but you can mitre any paper. 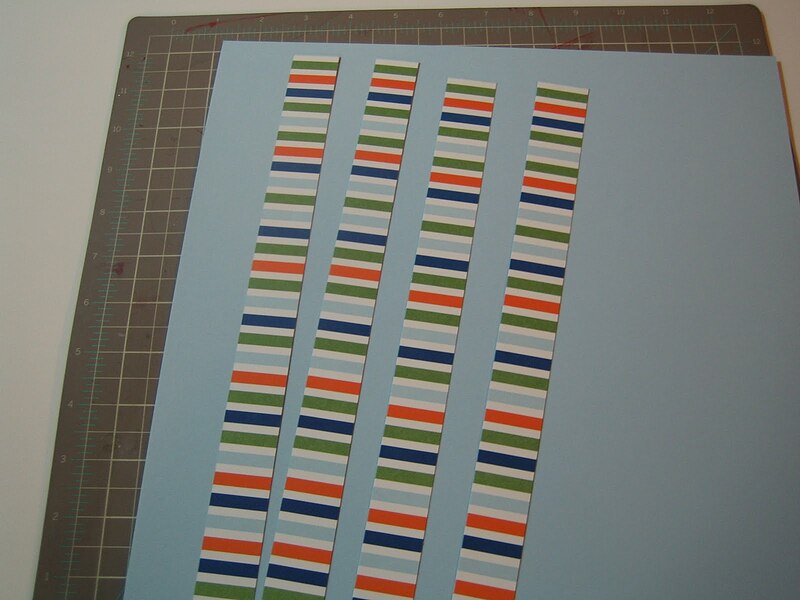 First start with four 1 inch strips, all cut in the same direction. 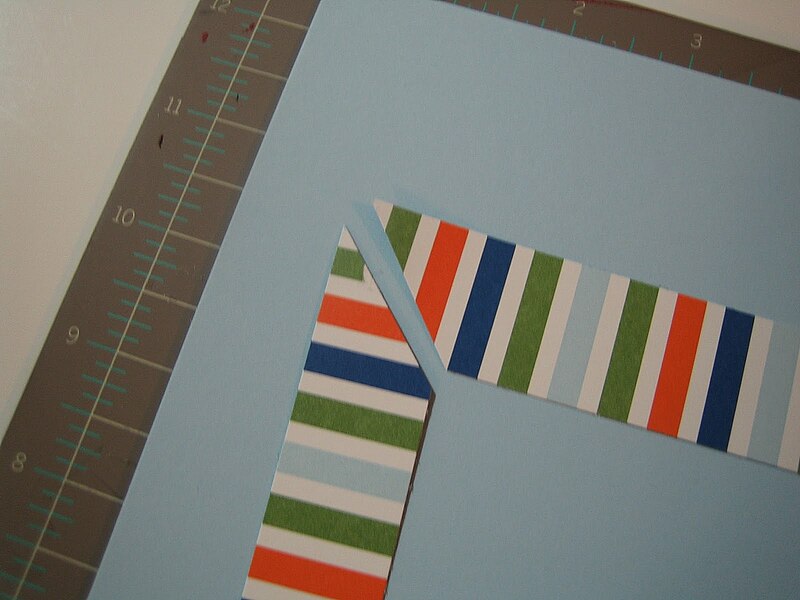 Now cut through both layers of paper from the inside corner to the outside corner. Discard the small triangle pieces you cut away. 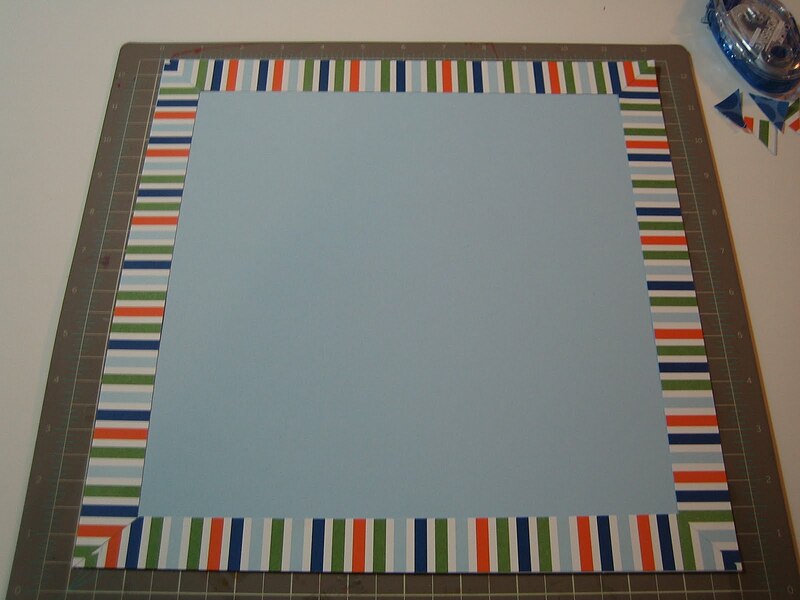 Repeat with the three other corners. 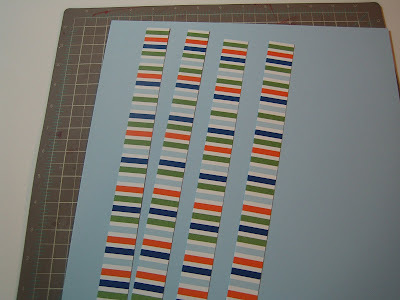 Adhere all four strips to your background cardstock. Have you scrapped your highlight of Summer 2009? Take some time to play and have fun with it, then post it to our Summer Scrapathon flickr gallery.